Imam Musri is the President of American Islam, Inc., a national Muslim organization. He serves as the Senior Imam, President and Chairman of the Board of the Islamic Society of Central Florida (ISCF) since 1993. 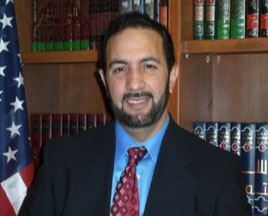 Musri is an advisor on Islam and Muslims to various agencies of the U.S. government. He is a member of the Florida Faith-Based and Community-Based Advisory Council since 2005, served under Governors Jeb Bush, Charlie Christ and Rick Scott.